Leonce - Insurgency. Vinyl EP. Bleep. 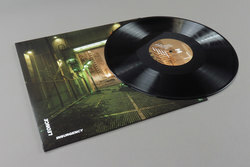 Leonce has established himself as part of the Fade to Mind family over the year prior to the release of his debut EP Insurgency. The Atlanta-based producer tackles the broad spectrum of club music with the sort of kaleidoscopic futurism that we’ve come to expect from the label. 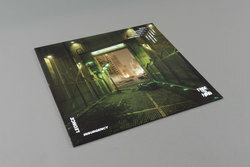 ‘Apparition’ and ‘Insurgency’ recall Classical Curves-era Jam City in the way they pummel the listener with stiff-necked kicks and snares, while ‘Flute Strikes’ nods to label-mates Rizzla and Nguzunguzu. 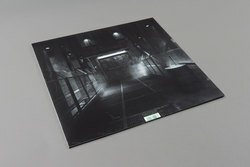 The EP starts and ends with two workings of ‘Snakes’ - the original a tense, sinewy slice of post-reggaeton, while the ‘club’ version that ends the EP throws bashment and jungle into the mix. MP3 download with all Vinyl purchases on release date.